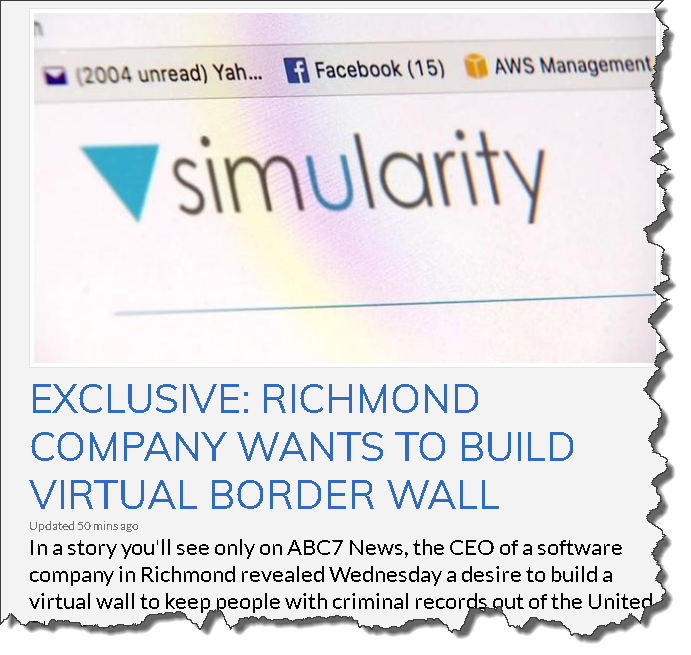 Simularity CEO Liz Derr was interviewed by ABC7 News, thanks to a regional city council who recently decided to boycott companies involved in the Trump Wall project. We put our name of the list of companies interested in bidding on the Border Wall because our Intelligent Virtual wall solution is more effective and costs significantly less than a physical, concrete wall. 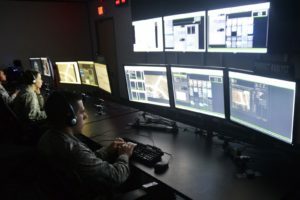 Our AI-ADS is a powerful solution for those wishing to remotely monitor remote assets over very large areas, such as thousands of miles of pipelines, or borders. 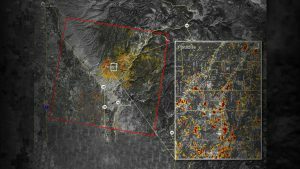 Our unique approach to AI for time series data allows us to combine aerial images from satellites and drones with local sensors and historical data for more accurate detections of anomalies and predictions of incidents. Special thanks to our partners, Spacemetric and Digital Globe, for allowing us to use some of their images and video as part of our brief “demo” clip, shown in this news story.